We know that many of you have been expecting this day already! Since the beginning of the IFA in Berlin, the Nuki Smart Lock is also available in its own version for Swiss round cylinders! Already at the market launch in 2016, there was a very high demand for a Smart Lock version for the Swiss round cylinder. We paid very much attention to this request in the last few months and we are pleased to announce that you can now order the Nuki Smart Lock in a special version for the Swiss round cylinders. 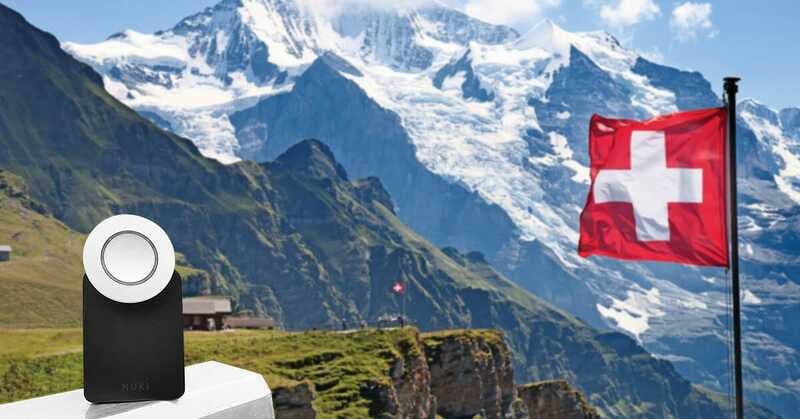 „Our Smart Lock is manufactured in Switzerland and we are proud to be now also able to adapt it to the local conditions”, explains Martin Pansy, CEO of Nuki Home Solutions GmbH. Of course, you can still order the Europrofil version in Switzerland, if necessary. Just select the appropriate version at the product page. With this step, we want to move further towards a keyless Europe and give even more people the chance to get an intelligent access to their home.